Our products have proven to be very reliable and efficient and we would continue to be the leader in this field and to get a bigger piece of the market. In General, we continuously improve our products. 1. Would you begin with a comment on the strength and diversity of AIR TARGET SWEDEN AB Company? Air Target Sweden AB is a well-known scoring system supplier since 1956. Development, custom design, manufacturing and marketing of the acoustical scoring products are performed in new premises in Kista, outside Stockholm. Our acoustical scoring products have been delivered to customers in more than 30 countries all over the world. Armed forces, i.e. Armies, Navies and Air Forces, and target towing operators are the main customers of Air Target Sweden AB. 2. Can you please outline the basic structure of AIR TARGET SWEDEN AB, and about its expertise for acoustical scoring products? 3. What excites you most about Defence Sector and what were the most important achievements for AIR TARGET SWEDEN AB in Defence Sector? That we one of the most known supplier of scoring equipment and has been that during so many years. That our equipment continuously is upgraded with the latest state of the art equipment available on the market. 4. Look out over the next 18 to 24 months, what's the strategy for the company going to be? To continue to be the leader in this field and to get a bigger piece of the market. 5. What is the place of innovation in a company as large as AIR TARGET SWEDEN AB? Where are your key markets and where would you see your main focus in the future? We should appreciate to get some feedback from you regarding which companies/persons that are searching after our products or our company on your site to be able to follow up a possible interest. In General and as mentioned above we continuously improve our products. 6. 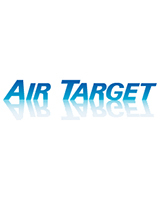 AIR TARGET SWEDEN AB is growing fast across the globe, since its inception in the year 1956. Geographically speaking, where do you find your biggest potential for growth? In the Middle East and in Asia. 7. Could you comment on the current world situation in the defence sector and how it affects what you're doing? Many countries no realize the need of scoring equipment to train their soldiers as efficient as possible and at the same time reduce the cost for expensive ammunition. 8. What makes you so different from your competitors in terms of developing these products? Is there anything on the horizon that might impact the sector significantly one way or the other? Maybe that we have a good reputation worldwide and that our products have proven to be very reliable and efficient. 9. What do you see as the single biggest challenge for the Defence Industry in 2013? What are some of the newer, exciting technologies or products that AIR TARGET SWEDEN AB is working on? In General and as mentioned above we continuously improve our products. We should appreciate to get some feedback from you regarding which companies/persons that are searching after our products or our company on your site to be able to follow up a possible interest.